Russian IP Firm INEUREKA was established in Moscow in the year of 2001. Over the years it has become one of the leading companies in Russia in the field of intellectual property protection. The office offers a full range of IPR protection services and is ready to be your partner on all issues related to the protection of intellectual property in Russia and abroad. Our specialists could undertake work related to the valuation of business and intangible assets, as well as the purchase of licenses and the transfer of new technologies. The company provides services for organizing and conducting in Russia and abroad of specialized seminars on intellectual property issues, as well as organizing Russian expositions at innovative salons. A significant part of the activity of our staff is occupied by issues related to trade and economic relations with foreign companoies, including export, import operations and investment issues. “Ineureka” also performs other legal services necessary for doing business. Using the services of our patent office, you may always be sure of the excellent result of our work, because for us the interests of the client are above all. We try to personalize the work with our clients, and the Patent attorney will always keep you informed of the state of your case. Upon completion of the next case, a feedback from our customers is important for us, on the basis of which we are trying to improve our service. Another customer’s appeal to our patent office would be a good indicator that we are on the right track. Among our clients are companies from Russia, CIS countries, as well as from the Republic of Korea, Japan, USA, China, Germany, Sweden and many other countries. 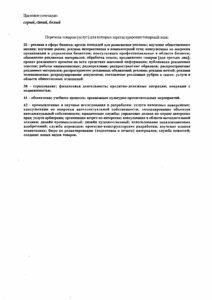 The Patent Office “Ineureka” participates in the work of the Russian group of the International Association for the Protection of Intellectual Property (AIPPI). It is a member of the International Trademark Association (INTA), the International Licensing Society (LES), as well as the Swedish-Russian Business Club and the Finnish-Russian Chamber of Commerce. Our history, though not so very long, contains some memorable events. 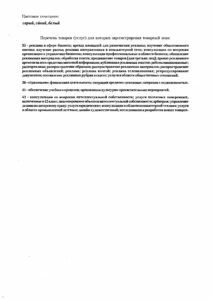 “Ineureka” LLC was admitted to the Russian-German Foreign Trade Chamber (FTC). The Chamber is located in Moscow and aims to promote economic cooperation between the Federal Republic of Germany and the Russian Federation. On June 19, during Business Breakfast, a representative of our company received a Certificate of Admission to Membership. According to Mr. Matthias Schepp, the Chairman of the Board of the FTC, “Ineureka” is the first Patent attorney company in the history of the Chamber. On our part, we hope that using new contacts within the framework of the FTC to intensify work on the German market, to increase our client base in Germany and to assist the establishment and development of contacts between Russian and German enterprises. A delegation of “Ineureka” LLC held a series of events was in the Netherlands; the main one was a presentation seminar on the topic "Intellectual Property in Russia". Participation in the work of the 6th Annual conference "IP Service World 2015" in Munich (Germany). Participation in the annual 137th conference of the International Trademark Association (INTA) in San Diego, California, USA. Participation in the annual 136th conference of the International Trademark Association (INTA) in Hong Kong, China. Participation in the work of the 5th Annual conference "IP Service World 2013" in Munich (Germany). Participation in the annual 135th conference of the International Trademark Association (INTA) in Dallas, Texas, USA. Holding a series of seminars "Doing business with Russia" in the states of Minnesota and Wisconsin (USA). Participation in the work of the IIIrd International Exhibition and Annual conference "IP Service World 2013" in Munich (Germany). Participation in the Investment Forum "Select USA", held by the US Embassy in Russia in “Spaso House” – the residence of the US Ambassador in Moscow. Participation in the annual 134th conference of the International Trademark Association (INTA) in Washington (DC, USA). Participation in the 111th International Exhibition of Inventions "Concurs Lepin" (Paris, France) – the oldest innovation salon in the world. Participation in the VII International Salon of Inventions, Innovations and New Technologies "MEDINNOVA - 2011" (Casablanca, Morocco). Participation in the II International Exhibition and Conference on Intellectual Property Services (Amsterdam - Noordwijkerhout, The Netherlands). Participation in the VII International Salon of Inventions and New Technologies "New Time" (Sevastopol, Crimea). Participation in the European Exhibition of Inventions "Concurs Lepin" (Strasbourg, France). Participation in the 1st Meeting of Inventors and Innovators of the Republic of Tatarstan, (Kazan). Participation in the annual 133rd conference of the International Trademark Association (INTA) in San-Francisco (USA). Participation in the 110th International Exhibition of Inventions "Concurs Lepin" (Paris, France) – the Jubilee session of the oldest innovation salon in the world. Participation in the VI International Salon of Inventions and New Technologies "New Time" (Sevastopol, Crimea). Participation in the annual 132nd conference of the International Trademark Association (INTA) in Boston (USA). Participation in the Asian Conference of AIPPI in Busan (Republic of Korea). The first participation of the company in the work of the "XXXIV International Salon of Inventions, New Technology and Goods" Geneva-2006". Holding the first presentation seminar of the company “Ineureka” for the representatives of Japanese business circles accredited in Moscow (ROTOBO association). First participation in the Annual conference of the International Trademark Association (INTA) in Atlanta (USA). Obtaining the first patent for an invention. Obtaining the first patent for an industrial design. 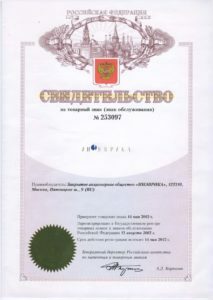 Receipt of the first certificate for the trademark.